Our booking arrangements are powered by SuperControl, the online booking system for self-catering accommodation. Use the SuperControl insert below to check for availability and make your booking. You can also make bookings direct by telephone to 01750 62331. We accept payments by BACS and via our online payments system. Our bank details are as follows. Account: Newburgh Hol Lets. Account Number: 00100780. Sort Code: 83-26-09. Our rates are set out further down the page, along with other information; and our terms and conditions are set out below that. Short breaks are not available in August and over Christmas and New Year. A £200 refundable good housekeeping deposit is required. Cot, stair gates and high chair are available if required at no extra cost. Dogs are welcome in Ettrick View on request at £20 per dog up to a maximum of three dogs. We require there to be at least two adults over the age of 25 in your group. Stag and hen parties please enquire. We accept payments by BACS and via our online payments system. To book the Property with us you should make the payment specified in the initial quote we email to you (the "Quote"). If the Quote stipulates that you pay an Initial Deposit (the "Initial Deposit") followed by a balance payment (the "Balance"), you must make both payments within the time periods specified. If the Quote asks you to make a payment in full, you must pay the full amount by the due date. If the Quote specifies that any damage deposit (the "Good Housekeeping Deposit") and/or a cleaning or other fee(s) ("Other Fee(s)") is payable, you must also make that/those payment(s) within the time period specified. Once booking dates have been agreed and we have received an Initial Deposit amounting to 25% of the total cost of your holiday or full payment, a provisional booking will be held for up to 3 days until your deposit has cleared (or 7 days for a cheque), when a confirmation of your booking will be given. A contract between us shall arise only when your booking is confirmed by us in writing via a letter of confirmation sent by post or email and is subject to these terms and conditions. The balance becomes due 6 weeks prior to arrival. If the balance is not received, we will try to contact you, without obligation by email or phone. If the balance is not settled by the due date, it will be regarded as cancelled and the week opened for re-letting. If you book within 9 weeks of your stay we ask for 100% of the cost of the stay as a non-refundable payment as well as the refundable Good Housekeeping Deposit. You should carefully check the details of your booking before making a payment, as well as your Booking Confirmation and inform us within 7 days of any errors or omissions. We accept payment by bank tranfer or by credit card through the HolidayRentPayment service. Our bank details are given on your booking invoice along with a link to HolidayRentPayment should you wish to use it. For reservations made within 2 weeks prior to arrival the rental must be paid by bank transfer. You must be 21 years or over when you book this accommodation. We have the right to refuse any reservation prior to the issuing of any confirmation in writing. We also ask for a security deposit (the "Good Housekeeping Deposit") of £200 when you pay your balance, this will be refunded within 10 working days of your departure subject to satisfactory housekeeping checks. We retain this for damages, repairs and extra cleaning but reserve the right to charge you for additional costs incurred due to repair, replacement, negligence or loss as a result of damage caused during your stay. These charges will include, but are not limited to; costs for excessive cleaning required if the property is not left as you found it, costs for repair or replacement due to damage caused. Any additional charges will be invoiced to you after your stay, and will need to be paid within seven days of receipt. Legal action will be taken to recover costs if necessary. Rates are quoted in Great Britain Pounds (GBP). Rates are based on maximum of 16 people including children but not infants aged under 2 years. You agree to ensure that each member of your party is covered by all normal insurance (in particular cancellation, loss and/or damage to the house and/or the house contents, gardens and environs) and health insurance (including evacuation and repatriation coverage). Your reservation should be for holiday purposes only unless otherwise agreed in writing. The house should not be used for stag parties, hen parties, weddings or any similar event without prior discussion with and written agreement by the owner. The numbers in your party must never exceed the stated house capacity except by prior written agreement. Guests are welcome but you must inform us in advance of numbers and day of visit. Additional costs will be incurred if extra cleaning is required as a result of an increase in your party numbers. You cannot allow more people to stay in the Property than expressly authorised, nor can you significantly change the makeup of the party during your stay in the Property, nor can you take your pet into the Property unless it is shown on your booking form or detailed in other correspondence and agreed with us in advance. If you do so, we can refuse to hand over the Property to you, or can require you to leave it. We will treat any of these circumstances as a cancellation of the Booking by you and we shall be under no obligation to refund you for fees already paid to us in those circumstances. Any refund will be at our sole discretion. You can arrive at the Property after the time specified by us on the Arrival Date for your holiday and you must leave by the time specified by us on the departure date. The Arrival Time is after 4pm unless otherwise agreed. The Departure Time is before 10am unless otherwise agreed. Housekeeping will arrive at 10am. If your arrival will be delayed, you must contact the person whose details are given on the Booking Confirmation so that alternative arrangements can be made. If you fail to do so you may not be able to gain access to the Property. 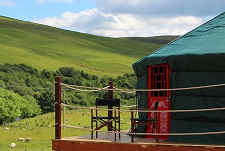 If you fail to arrive by midday on the day after the Arrival Date and you do not advise the contact of your anticipated late arrival we will treat the Booking as having been cancelled by you and we shall be under no obligation to refund you for all deposits, the balance and fees already paid to us. See the Cancellation Policy. You agree to allow us or any representative of ours access to the Property at any reasonable time during your stay for the purpose of essential repairs or in an emergency at any time. Where possible we will arrange this with you in advance. You agree to comply with the regulations set out in the Property Handbook provided to you at the property and any other regulations and notices specified by us and/or displayed at the property or in the Handbook from time to time and ensure that they are observed by all members of your party. You agree to keep and leave the Property and the furnishings, fixtures including outside furniture and equipment, including items such as kitchen equipment, BBQ, crockery and glasses clean and in good condition. You agree not to cause any damage to the Property, the house, any part of the building or its contents and/or external facilities and environs, nor to do anything that may be reasonably considered to cause a nuisance or annoyance to us or to any other occupier of adjoining or neighbouring properties. You agree to take all necessary steps to safeguard your personal property as well as the Property as a whole and its contents. All doors and windows must be locked when leaving the Property unattended. This is a requirement for insurance and will protect your valuables and ours. Also for our insurance to be valid the keys need to be left away from doors and windows and out of sight. Failure to adhere to this will render you liable for any damage or theft as a result. If you engage caterers or any other service during your stay they must hold the relevant licenses or certificates and operate under the relevant standards and codes of practice imposed by Government and regulatory authorities. We are not responsible for information or services provided by others. You agree to make sure stair gates when used are fitted correctly and according to instructions and regularly checked by responsible adults in the party. You are responsible for the house, gardens, external spaces which form part of the site and contents during your stay. Please be aware that our land is spread over 4 acres of gentle rolling countryside with paths of grass. Whilst picturesque, we advise that you should be aware that the walkways and other areas are not flat and care should be taken when walking as we cannot be held responsible should anyone stumble or fall. Where dogs have been included in the Booking Confirmation, the agreed number of well behaved, de-flead and de-wormed dogs are welcome. These must be kept under control at all times and are not allowed on furniture or upstairs. On departure all trace of their presence must be gone. You must not leave them alone on the premises for any length of time. Compensation will be sought for any damaged caused by them. Dog dirt must be cleared and put in plastic bags which must be properly sealed before placing them in the black household bin. There is a charge of £20 per dog. If you need to cancel your Booking you must write to us or email us as soon as possible. A cancellation will not take effect until we receive confirmation in writing or via email from you. If you need to change the date of your stay we will be as flexible as possible to accommodate your wishes; dates can be amended up to 6 weeks before your stay subject to availability. Within 6 weeks of your stay this will be treated as a cancellation. Guests cancelling up to 9 weeks before the start of the holiday will receive a refund of 50% of the balance payment if it has already been paid. In case of a split payment, the Initial Deposit is always non-refundable. Guests cancelling within 9 weeks or less of the start of their holiday will receive no refund unless we are able to resell your booking. In this case you will receive of 50% of the balance payment, and the Initial Deposit is always non-refundable. In the unlikely event that we have to ask you to leave because of unacceptable behaviour or damage, or if you decide to you do not wish to stay for the duration of your reservation for whatever reason, this will be treated as you cancelling your reservation, therefore we will not refund or compensate you in any way. We would hope that we would not have to either cancel or adjust your reservation in any way: however, as unforeseen problems do occur, we would contact you immediately to discuss any proposed cancellation or adjustment. If alternative dates are unacceptable to you, we will refund all of your original rental deposit, balance and Good Housekeeping Deposit. However, we will not be liable to refund you for any fees you may have paid to any third party in connection with your holiday (including, without limitation, fees for travel, entertainment, activities or insurance). It is essential that you contact us as soon as possible if any problem arises so that it can be speedily resolved. It is often extremely difficult (and sometimes impossible) to resolve difficulties properly unless we are promptly notified. Discussion of any criticisms with us whilst you are in residence at the Property will usually enable any shortcomings to be rectified straightaway. In particular, complaints of a transient nature (for example, regarding preparation or heating of the Property) cannot possibly be investigated unless registered whilst you are in residence. If we are not informed of any problem then we will have been denied the opportunity to rectify it and this may affect your rights under our contract. Scottish Law Applies exclusively. The contract between you and us is governed by the Law of Scotland and we both agree that any dispute, matter or other issue which arises between us will be dealt with by the Courts of Scotland. These Terms & Conditions (the "Terms and Conditions") are between the property owner / manager ("we", "us" and "our") and the holidaymaker(s) who book our property (the "Property"). References to "you" or "your" in this document are references to the person making the booking ("Booking") and all members of the holiday party. For the purpose of this agreement, the term "Property" refers to the house, its contents, the garden, fences, walls, oil tanks, waste bins and all associated parking, access, services, property, garages, land and fields. Any Booking is subject to these Terms & Conditions. These Terms & Conditions form the basis of your contract with us so please read them carefully. Nothing in these Terms and Conditions affects your normal statutory rights. Newburgh Holiday Lets uses just one cookie of our own, which prevents the cookie bar warning on the site's pages reappearing repeatedly for returning visitors. The only other cookies that will be encountered by visitors to this site are those referred to below. If you continue to use this website with a browser set to accept cookies, and to allow tracking, we assume you agree to the acceptance of these cookies. To find out how to manage cookies in your browser please see the About Cookies website. To find out about "Do Not Track" please see the All About Do Not Track website. Newburgh Holiday Lets makes use of Google Analytics, a web analytics tool that helps website owners understand how visitors engage with their website. Like many services, Google Analytics uses first-party cookies to track visitor interactions. Browsers do not share first-party cookies across domains. There is more information about this subject available here on Google's site.